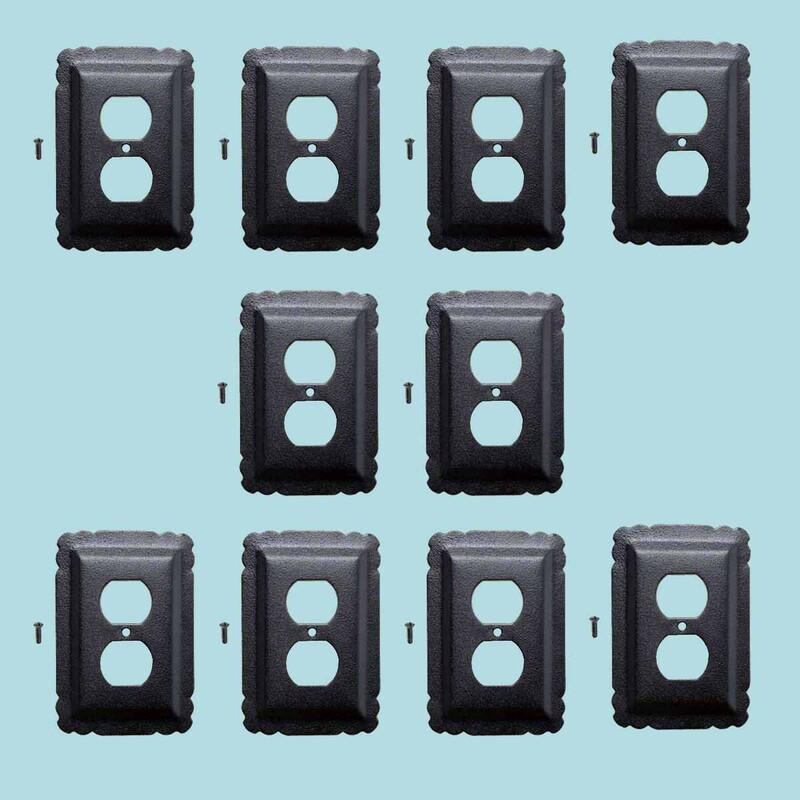 (10) pieces Switchplate. These outstanding switchplates are crafted of steel and resemble wrought iron. Our exclusive RSF coating protects this product for years to come and gives the switchplate added wrought iron texture. A fabulous detail for a modern sleek look or for that Old Colonial charm. Mounting hardware included.